Color of the Month September 2016! September! I’m a bit behind on the post but it’s Wedding Month! SO, lots to do at home and out and about, thinking, planning, doing, figuring out, gathering. So, back to color of the month…tomorrow is Stephan’s birthday and so this month he requested orange! 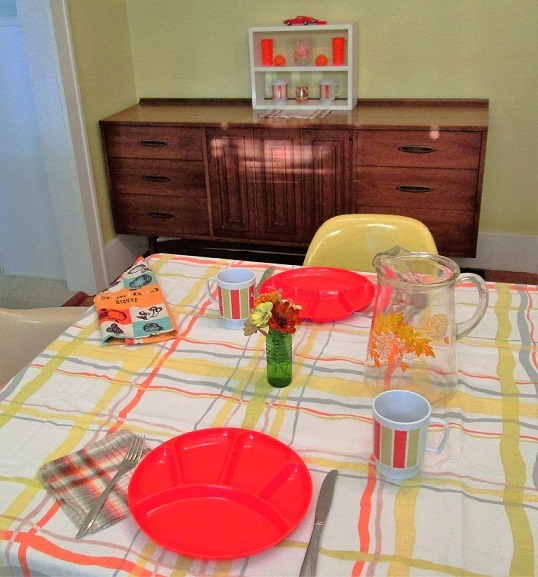 Fave vintage: plaid napkin, striped plastic mugs, awesome Florida juice glass. 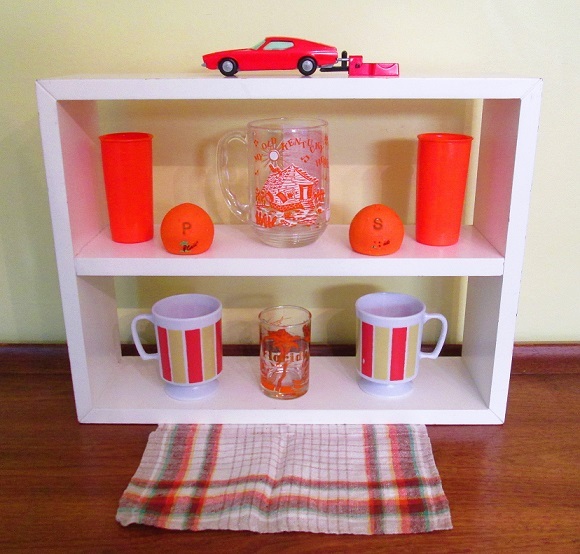 orange Florida salt and p’s, plastic juice cups, old kentucky home song mug, and key car! 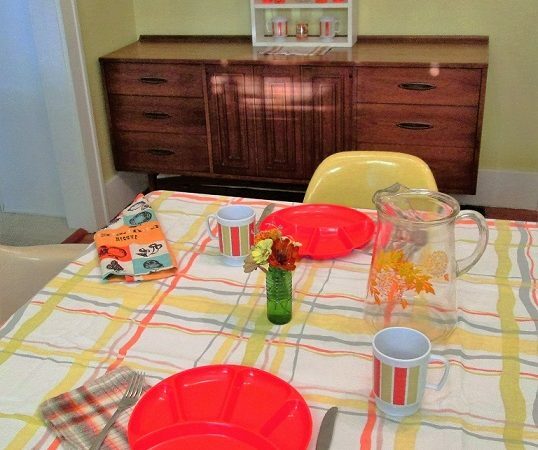 Fave vintage: an absolute fave tablecloth of mine, divided plates, striped cups, dandelion pitcher, plaid napkins, and tea towel.